KAHPERD Health Education Cadre of Trainers- Call for Applications! 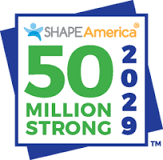 The Kentucky Association for Health, PE, Recreation and Dance (KAHPERD) is looking for educators with a background in school/classroom health education. Any interested applicant can click on this link and apply by February 15. Applications will be reviewed and scored by Board of Directors members and a performance checklist on how they will be scored is within the application. Thank you for your interest in the KAHPERD cadre of teacher trainers! Please complete all questions on this application and make sure you have read and understand the attached qualifications and expectations. Build Kentucky’s pool of health education contacts to further ensure strong representation on state level content panels and other opportunities to inform education and legislative leaders. A Bachelor and preferably Masters or related degree in the field of education. Commit to one year, with the intention of staying on beyond that. Participate in strategic planning sessions as a group to determine what Kentucky Health Teachers might need for PD and support. Participate in 1-2 hour video-calls at least every other month. The first year of Cadre membership is a probationary year. Periodic performance reviews will be conducted by the Cadre coordinators.